Can Pakistan and China Successfully Cooperate on Counterterrorism? Xi Jinping and Mamnoon Hussain vowed to fight terrorism together. Will they succeed? As China reeled from the impact of Thursday morning’s brutal bombing in an open market in Urumqi, the capital of Xinjiang, President Xi Jinping met with Pakistan’s President Mamnoon Hussain, shortly after the conclusion of the Conference on Interaction and Confidence Building Measures in Asia (CICA). While Xi used the multilateral forum to call for the creation of a “new regional security cooperation architecture” for Asia, one that did not rely upon alliances with external partners such as the United States, he also took the bilateral opportunity with Pakistan’s president to discuss ways in which the two countries can combat terrorism. 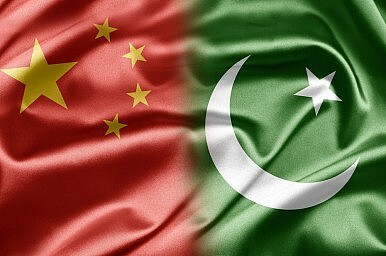 According to Xinhua, the leaders agreed to ” strengthen cooperation in counter-terrorism efforts.” According to Xi, “China backs Pakistan in practicing a counter-terrorism strategy based on its national conditions and is willing to enhance bilateral security cooperation to safeguard the peace and stability of the two countries and the region.” In return, Hussain acknowledged China’s concern in particular about the East Turkestan Islamic Movement (ETIM) and called the group a “common enemy” of both China and Pakistan. He additionally pledged to “ensure the safety” of Chinese citizens within Pakistan. Apart from cooperation on counter-terrorism, both Xi and Hussain expressed a desire to see the Pakistan-China economic corridor mature into a vibrant economic lifeline, connecting China’s western provinces to Pakistan. China is heavily invested in Pakistan, from the Karakorum Highway in the north of the country to the seaport of Gwadar in the south. China’s investments in infrastructure in Pakistan are related to Xi’s 21st century Silk Road and maritime Silk Road initiatives. Xi’s conversation with Hussain follows along the same lines as Foreign Minister Wang Yi’s conversation with Afghanistan’s foreign minister when he traveled there in February this year. While China continues to see Afghanistan and Pakistan as important partners in the area of political and economic cooperation, Xi is keen to urge these countries to help China combat its homegrown terror threats. While a limited group within Xinjiang’s disgruntled Uyghur population have taken to violent terrorism to protest what they see as unfair treatment by the Chinese government, they have recently grown rather potent, staging several spectacular attacks against Chinese civilians both within and outside of Xinjiang. For the Chinese government, as long as China’s southwestern neighbors do not take control of their own security affairs, Uyghur separatists will have a place to regroup and plan future attacks against targets within China. While Xi’s conversation with Hussain is telling of China’s interests, it remains to be seen if Pakistan will be able to effectively mobilize its military to address groups within its borders that threaten China or assist those who threaten China. Pakistan’s military is currently engaged in an extensive campaign against homegrown extremist elements. Further complicating the situation is the Pakistan military and the Inter-Services Intelligence’s role in abetting certain terror groups — in particular Lashkar-e-Taiba (LeT) — against India. Both LeT and ETIM are affiliates of al Qaeda. ETIM operatives have additionally been known to operate all over Pakistan. They attacked Chinese citizens in 2007 in Balochistan, in the south of the country, and an ETIM leader, Hasan Mahsum, was killed in an air-strike in the northern mountains on the Afghanistan-Pakistan border. Pakistan has shown that it can cooperate with China — for example, it regularly extradites captured ETIM members to China. Pakistan and China regard each other as “all-weather” partners. Terrorism remains perhaps the only issue that could challenge that assumption in a serious way, particularly from the Chinese side. Under Xi Jinping, China is taking its commitment to fighting terrorism within its borders to new heights. Despite China’s establishment of a National Security Council and other advances, the task of rooting out terror remains a tall task. China won’t be able to succeed in this endeavor without Pakistan’s cooperation. Brits Blacklist East Turkestan Islamic MovementChina Attacks: Not the Usual SuspectsThe US Is Pushing Back Against China. What Happens If We Succeed?On Looming US-China Trade Deal, Actions Speak Louder Than WordsTrue GRIT with North Korea?